We bring Best Levels in Gaming History into the summer and turn up the heat even more! It's time for Volume Eleven of SuperPhillip Central's popular series focusing on the great levels that make up parts of our favorite and beloved games. These have superb design, points of interest, masterful placement of hazards, and anything else that makes a good level truly great. This edition has Tony Hawk's Pro Skater 2, Mario Kart 8, and Batman: Arkham Origins to mention just a few. Mullet Falls, Montana is the home to the first level of Tony Hawk's Pro Skater 2. It's the Hangar, a place that we spent more hours just messing around in as kids than we'd like to admit. 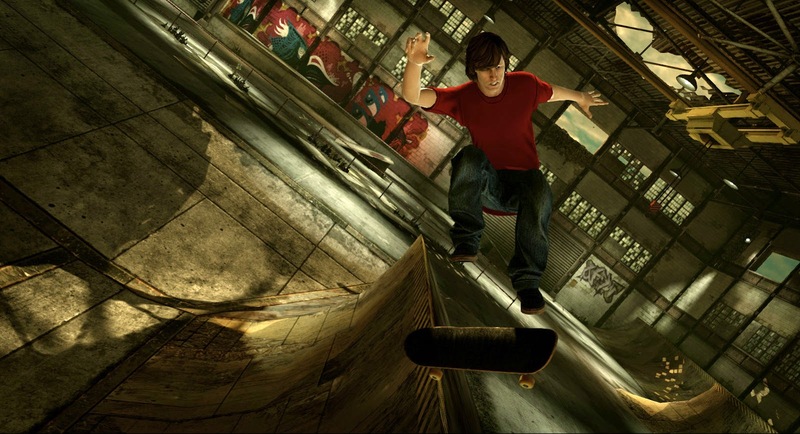 It also happens to be home to a quarter pipe that extends around the perimeter of the entire inside of the building, it's offers a perfect place for setting up as many vertical trick possibilities as your skater can muster. 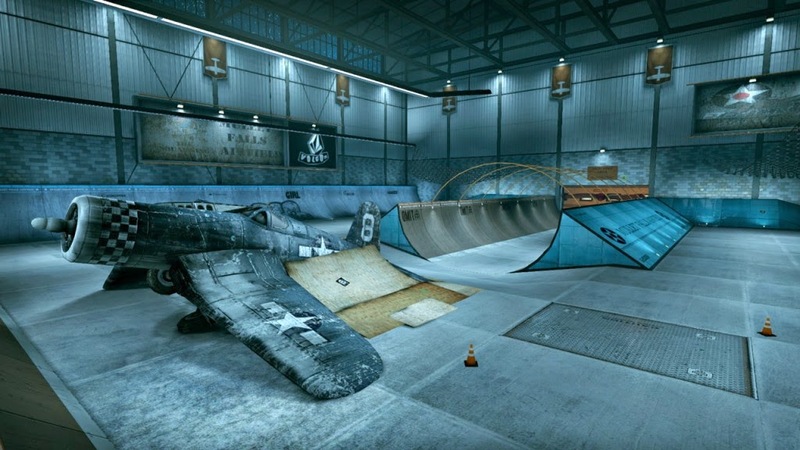 It doubly serves as a fantastic area to grind, allowing you to pull off one impressive grind all around the skating area. The Hangar is made up of two rooms itself, the airplane hangar and the helicopter hangar. In the airplane room, one can bust out gnarly tricks on the halfpipe that rests inside, or they can go vertical, grinding upon the rails that rest on the high walls of the room. On the far side wall there's a panel of glass that can be broken through, granting your skater more territory to nail tricks in via a secret area. It's opened up through grinding on one of the wrecked plane's propellers. This opens up a wind tunnel, perfect for catching sick air, nabbing mad money, and just flat out killing it on the scoreboards. The Hangar is a perfect introductory place for beginners to get their skates wet. It's relatively simple in design, and it offers easy access to places to score big. 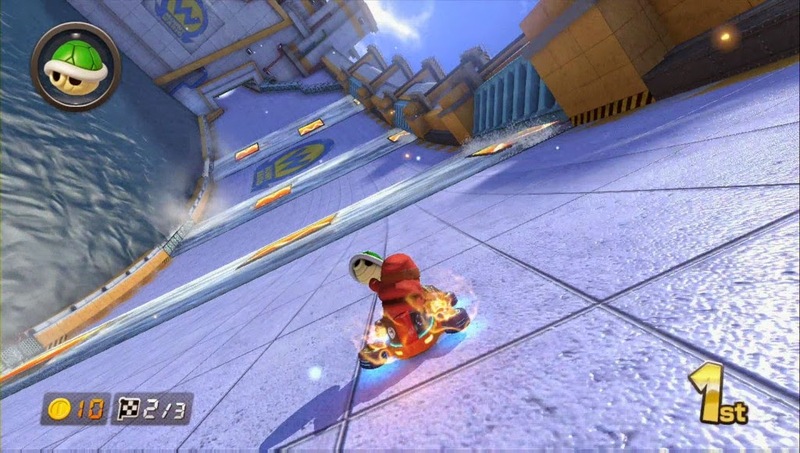 Pulling off wicked combos (sorry about all of the forced skater lingo in this level description) is a piece of cake, making this level a popular one among the SuperPhillip Central crowd. 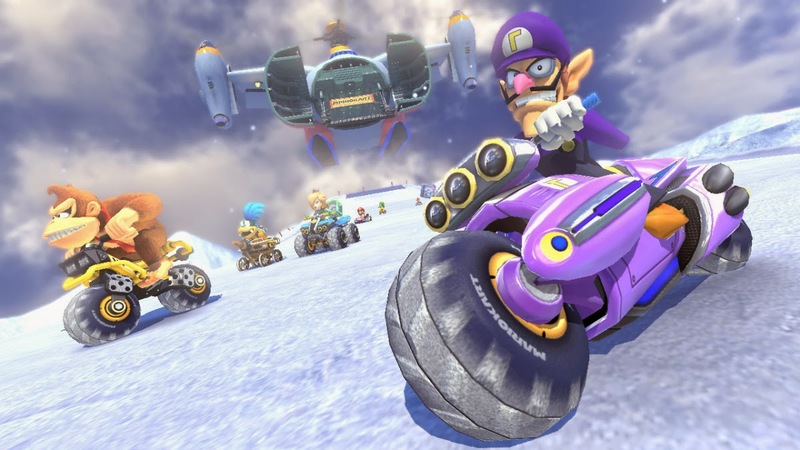 The recently released Mario Kart 8 brings with it one the most cleverly designed courses in series history, Mount Wario, a frigid ride from the mountain's summit to its bottom. Along the way are three segments that make for a mighty wild ride from beginning to end. 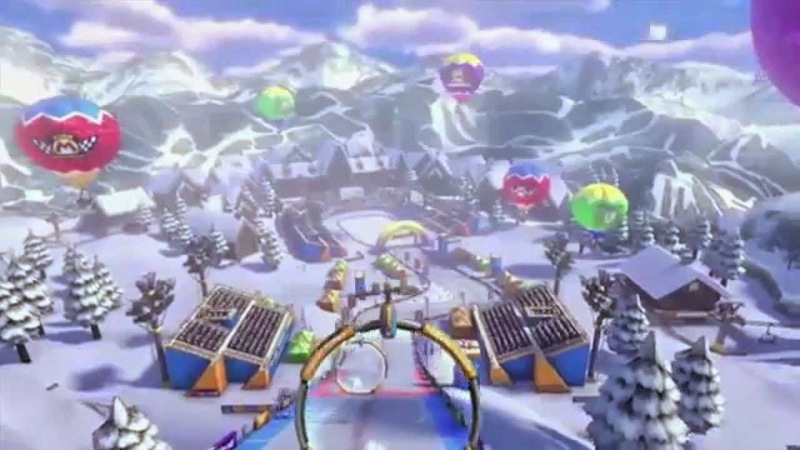 Racers start by driving out of the inside of a plane and onto the powdery snow that makes up the top of the mountain. Through drifting among icy pathways, players eventually make it into the inside of the mountain, a cavern full of water. A gliding section allows proficient flyers to keep their flight pattern going as they run off multiple rocks serving as makeshift ramps. The alternative is riding down the raging rapids of the water flowing through the cave, a safe way to go, but also one that takes more time. It's then a drive through an area that serves as a transition between the mountainous cavern and the upcoming dam. Wario Dam has racers driving on the side of it, with four or five flumes sending water down into the body of water below. However, these flumes also periodically let loose boost pads for racers to drive over and gain a leg up on the competition. Once the dam has been passed, it's a drive through a forested area. The middle path offers a glide pad to glide over most of the tree and log-covered obstacles in the way. The logs themselves can be tricked off of, but the danger of having one's momentum sending them into a tree is present. Finally, the last stretch of track is a series of sharp slalom turns down a snowy series of banks with onlookers and a crowd full of Toads and other characters rooting racers on. 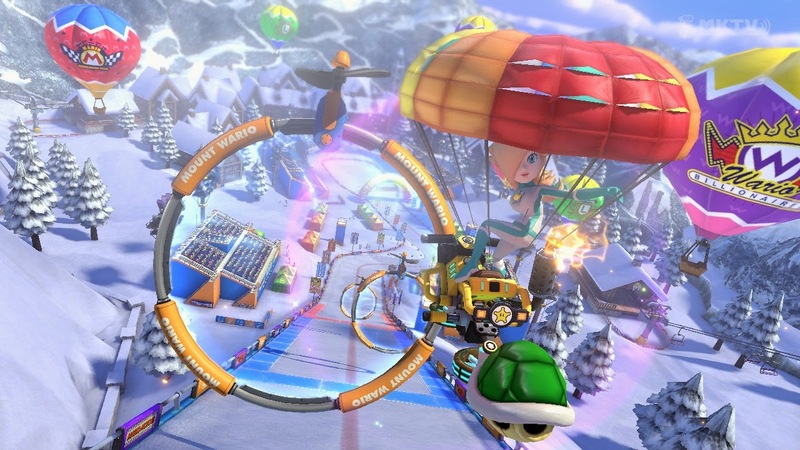 A final gliding section requires racers to fly through rings for a burst of speed, and a final set of turns leads to the finish line. Mount Wario consists of so much variety that it feels like an adventure from the starting point to the finish line. 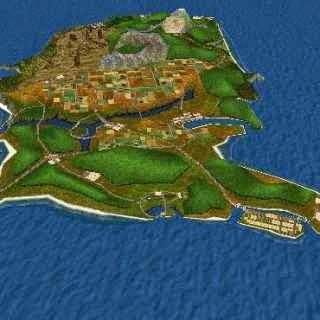 It offers terrific opportunities for tricks, plenty of eye candy along the way down the mountain, and a perfect running time to make sure the race doesn't get boring and makes it so players want to come back for more. The Gotham City Royal Hotel has the objective for Batman to apprehend the dreaded Joker. 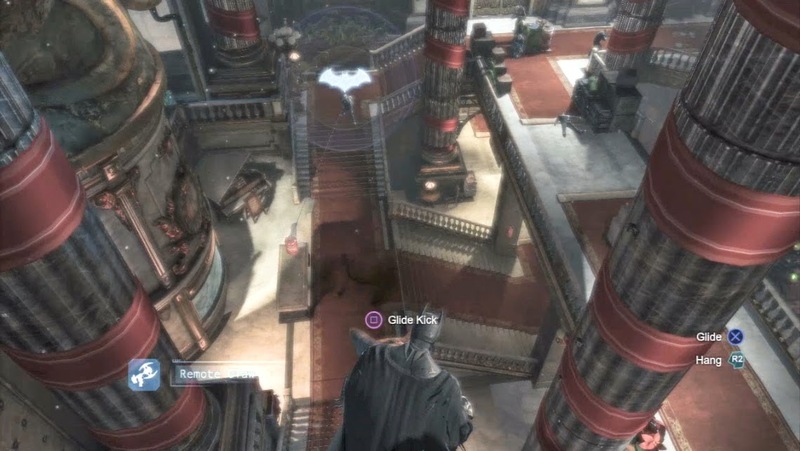 It's a locale that is in the latter half of Batman: Arkham Origins, a surprisingly well made game from WB Games Montreal, and not the normal team behind the series, Rocksteady Games. What makes the Gotham City Royal Hotel so interesting is how Batman is making his way through swaths of thugs, whether in pure combat or picking them off via stealth, and how much the trek up the hotel feels like one grand, escalating mission with a lot of gravitas to it. In the Gotham City Royal Hotel, Batman will be required to transport inside and outside the hotel, as the elevators do not function at all. He'll grapple his way up the insides of elevator shafts and the outside pillars of the hotel in the frigid winter night. The Joker has a plethora of shady goons patrolling multiple sections of the hotel. There's two predator areas where Batman will need to use his brains to incapacitate all of the henchmen inside, the lower level lobby of the hotel and the elevator area leading to the penthouse near the top of the hotel. 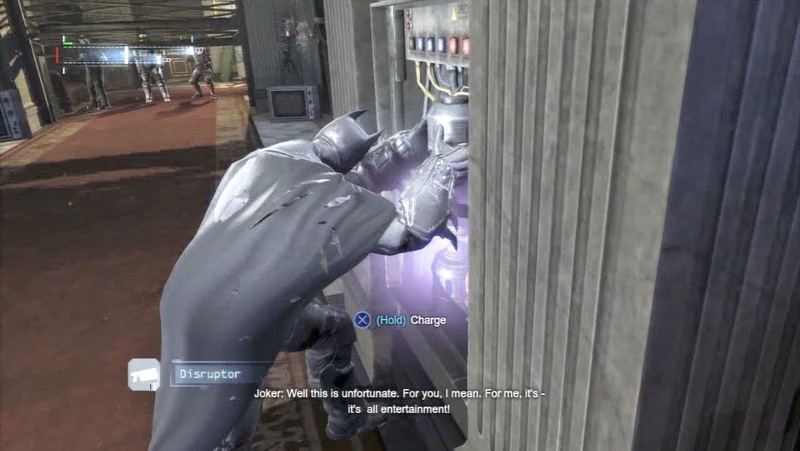 Sandwiched between both sections are portions where Batman will use his new gadget, taken from the fallen Electrocutioner, a pair of shock gloves. These allow the dark knight to give power to otherwise non-powered contraptions like shutters, elevators, and the like. Near the top of the hotel, the Joker and his begrudging followers have created an amusement park of sorts. How this was possible in such a short time is anyone's guess, especially since there's no nearby Home Depot or Lowe's to assist with this process. Regardless, not only is Batman fighting and thinking is way up to the penthouse where the Joker is awaiting his soon-to-be future perpetual rival, but Batman is saving hostages one after the other. 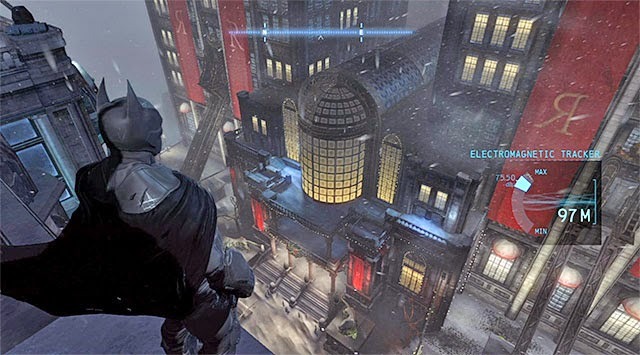 The Gotham City Royal Hotel is a very interesting and enjoyable area of Batman: Arkham Origins because like Mount Wario, it feels like one grand adventure from the ground floor all the way up to the penthouse. As you can probably guess with the title of this next level, Little States is a miniature version of the real life United States. Of course, there's several differences, such as Alaska and Hawaii not being represented, the United States itself being an island with no appearance of its border countries, Canada or Mexico, and there's no not-so-thinly-veiled racism running rampant in the Little States either. The Little States is such a fascinating and large area to explore, and that's the most fun part of the Little States, exploring it. There's so many fascinating landmarks and true to life locations like New York City, Chicago, the Kennedy Space Center in Florida, the Rocky Mountains, the Great Plains, Mount Rushmore (although in the Little States's history, apparently Mario and even Wario were one time presidents...) and so much more. 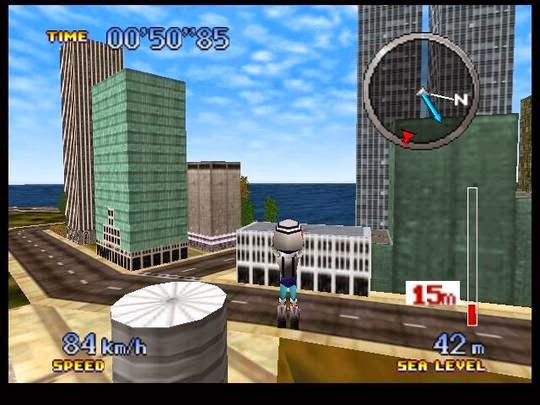 It's especially entertaining to explore with the Jumble Hopper, leaping high into the air, falling to the ground, and having your feet touch down with the ground as you leap once more, launching into the skies above. 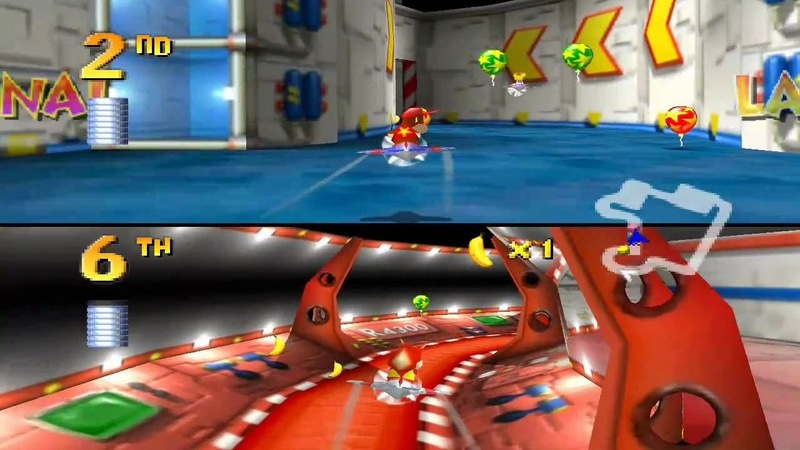 A track in the last area of Diddy Kong Racing, Future Fun Land, and one of the final tracks in the game, Spaceport Alpha allows for racing with all three available vehicles in the game. Regardless, the primary vehicle featured in the track is the plane. Spaceport Alpha is a race that takes place aboard a spaceship. It features wide curves at the beginning, a vertical ride through an air vent, which requires some smart braking and acceleration to masterfully move through, and perhaps the coolest room of all, an area where lasers fire throughout the room in seemingly all directions. 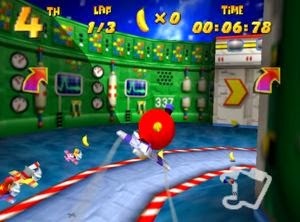 A safe place to travel here to avoid coming under fire is as close to the floor as humanly, or in Diddy Kong Racing's case, as animally (to make up a word) possible. Diddy Kong Racing is bar-none one of our favorite kart racers ever devised. The adventure mode gave the single player portion an immense more amount of play time and longevity than most Mario Karts, and the level of polish was incredibly high-- still is. 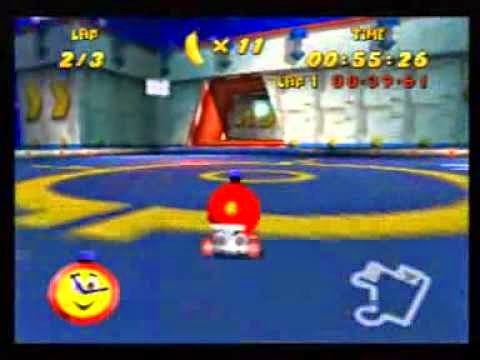 Throw in the inescapable charm, sensational presentation, and wonderful track design like Spaceport Alpha possesses, and you can see why we're still enamored with Diddy Kong Racing.